"Video on Instagram": Kevin Systrom's debut poem is a postmodern masterstroke. 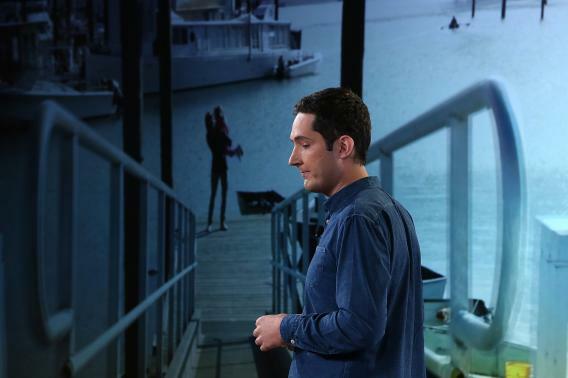 Kevin Systrom, who co-founded Instagram in 2010 and sold it to Facebook for $1 billion less than two years later, stunned the technology world today by turning a Facebook press event into a poetry reading. Entitled “Video on Instagram,” Systrom’s poem ostensibly heralds a new social-media tool, one that enables users to shoot, edit, and share 15-second movies with their mobile phone. Beneath the surface, however, Systrom is using the conceit of a product launch to plumb the roiling psychocultural forces at work in our tech-fetishizing zeitgeist. Epic in scope, the full work is too long to reprint here, and he read it too fast for accurate transcription. But like Kerouac at the Six Gallery, I soaked it in as he spoke—pausing only occasionally to yell “Go! Go! Go!”—and have done my best to faithfully capture for posterity the key passages. I’ve reprinted them below in a form loosely approximating a double sestina. See how Systrom deftly juxtaposes the ephemeral jargon of his milieu with deceptively simple bromides about the human condition to conjure, undermine, and ultimately embrace the techno-utopian ethos. It’s a postmodern masterstroke. We may never get that moment back. From time to time, and remember them. Instagram is a way to stay connected. That move the world forward. To enjoy the simple things in life. And shared more permanently. That’s what Instagram is. Every single day we come to work. Have been shared on Instagram. Now we should discuss where we’re going. What’s next? What do we work on? We decided that we needed to do something new. But we left video on the side. I’ve got some really special stuff in store. To record a moment there. Is hold down that button. Not all of the time can you fit a single scene into 15 seconds. You know what? His hand’s in the way. Here we are with a beautiful finished latte. Let’s focus on the latte itself. I click “next,” and this is where it gets exciting. Thirteen custom filters—this is really special. I really like the look of this latte. We love naming our filters. All the details are right. Can see what you’re trying to show them. That beautiful time with my friends. And doesn’t look that great. That’s not what we all want.